Teams won the Best in Show award for the second year running at the Enterprise Connect show in Orlando, FL today. As is normal, Microsoft trotted out a series of announcements to excite and delight fans, including the long-awaited announcement of private channels (aka secure channels), scheduled for availability “later this year.” Microsoft hasn’t released details of how private channels will work or how they will make it possible for members of a private channel to have secure access to content without other team members being able to see that content. Background blurring in video meetings is due to get more interesting with the advent of customized backgrounds. Essentially, Teams replaces your real background with an image of your choice (think of a beach in Hawaii…). I’m a lot more impressed though by content cameras and intelligent capture, which allows Teams to remove someone blocking the view of a whiteboard during meetings. See the Teams blog for information about other features due soon. Microsoft’s press release also included the news that Teams is now used by 500,000 organizations, a growth of 80,000 organizations over the figure announced at Microsoft’s Q2 FY19 results in January. Microsoft also says that 91 of the Fortune 100 use Teams, a gain of 2 since January and that 150 of the 500,000 organizations have more than 10,000 users. The new numbers put an even better light on Teams versus Slack and Workplace as Teams is now adding 40,000 organizations per month. Need more information about Teams? Read Chapter 13 of the Office 365 for IT Pros eBook and you’ll find lots of interesting nuggets. 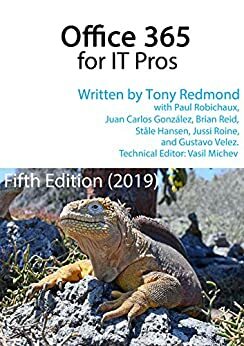 Chapter 16 covers using Teams for meetings and the transition from Skype for Business Online.